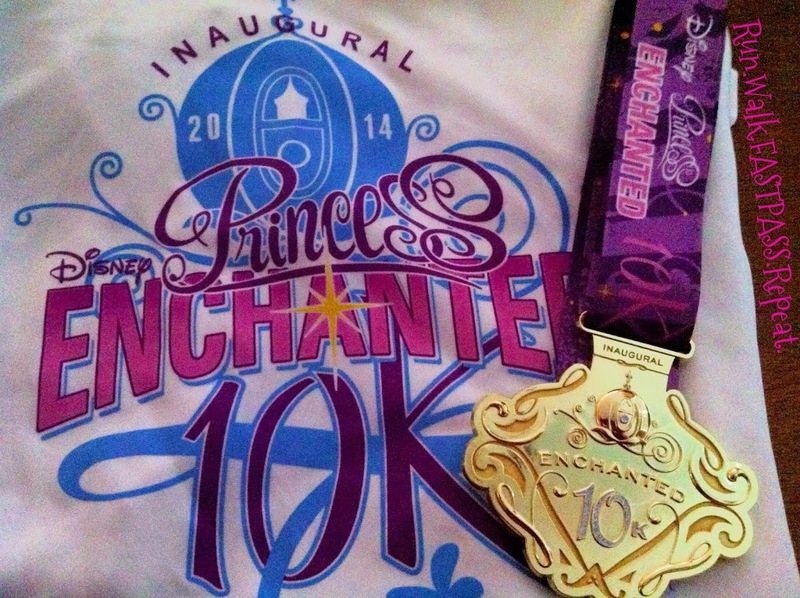 You know I wasn’t going back to the Princess this year, then they announced the Enchanted 10k and the Glass Slipper Challenge. runDisney KNOWS how to pull you right back. And why not, the races are fun and in one of my favorite locations, its hard to say no. 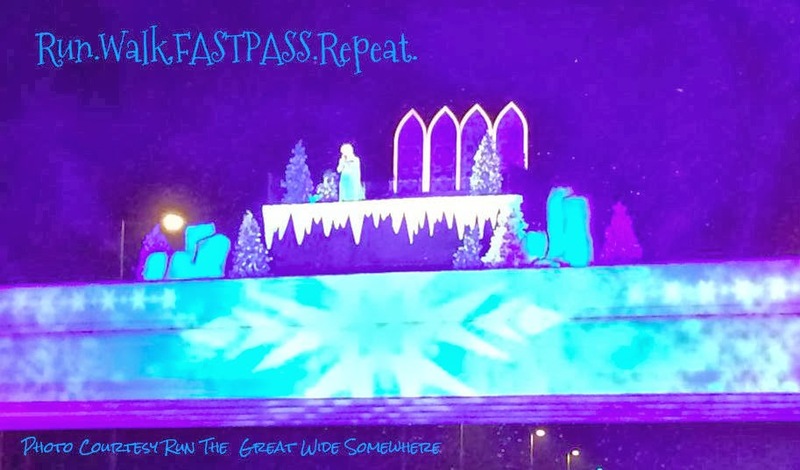 So I found myself getting up at 2:45 on Saturday February 22nd to to run the Enchanted 10k as part of runDisney’s Glass Slipper Challenge with my DisBroad friends. 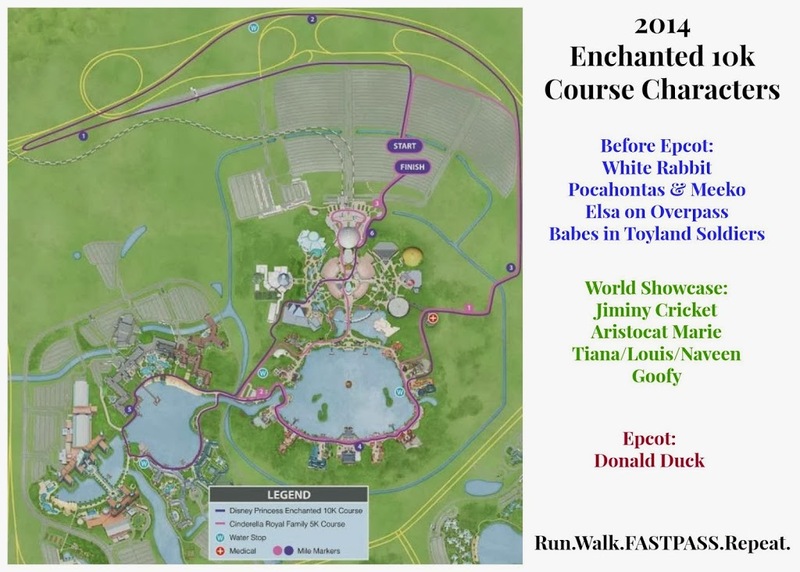 I was wondering how I would like the course and if the characters and scenes along the way were as meh as people I had heard talking about the Minnie 10k in January which is the same course. Plus a NEW medal, its so pretty too. Voila, spoonful of sugar Mary was born! The DisBroads had decided on a Poppins Posse theme so I fit in: we had 2 Marys, Chimney Sweeps, Mrs Banks and one of the Domestics. Really our running attire for our group came together quite nicely. 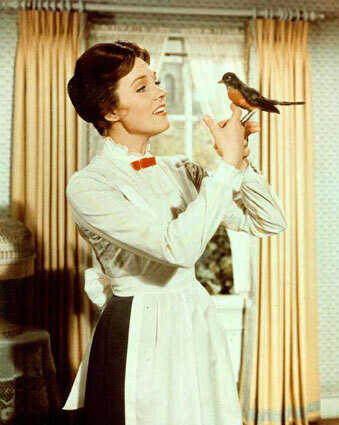 In every job that must be done, there is an element of fun – Mary Poppins – and well ME in any race! Thanks Bonnie for the photo! Honestly, I have NO idea how Tania our Domestic could run in her dress….it had a slip built in and everything. Plus she had on her husband’s work shirt and a full apron. Not to mention her head was covered – don’t try this at home kids her race outfit was heavy and hot. That girl goes ALL OUT for costumes. 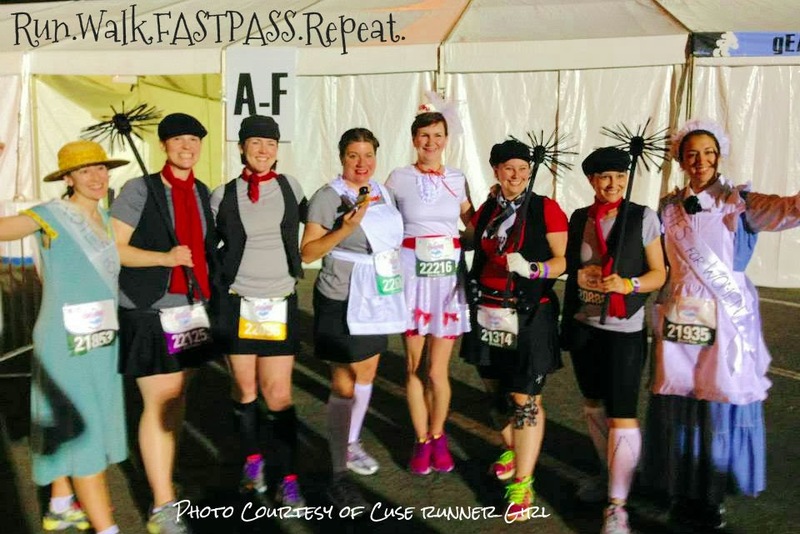 As we walked to the start corrals, other runners were commenting on our group costumes, especially those lucky as lucky can be sweeps. We even got applause, NOT KIDDING. Felt like a rock star which is always fun. It was a delightful 97% humidity in the 70’s with zero breeze. Ick. Luckily it was cloudy, so we didn’t have to deal with the sun beating down on us. As we all waited in Corral C, we were underwhelmed by the music. I think the fact we had gotten up so early and would be again the next day had us kind of funky. I do believe the humidity had zapped our enthusiasm but at least we were in it together – all the DisBroads would run together was the plan. 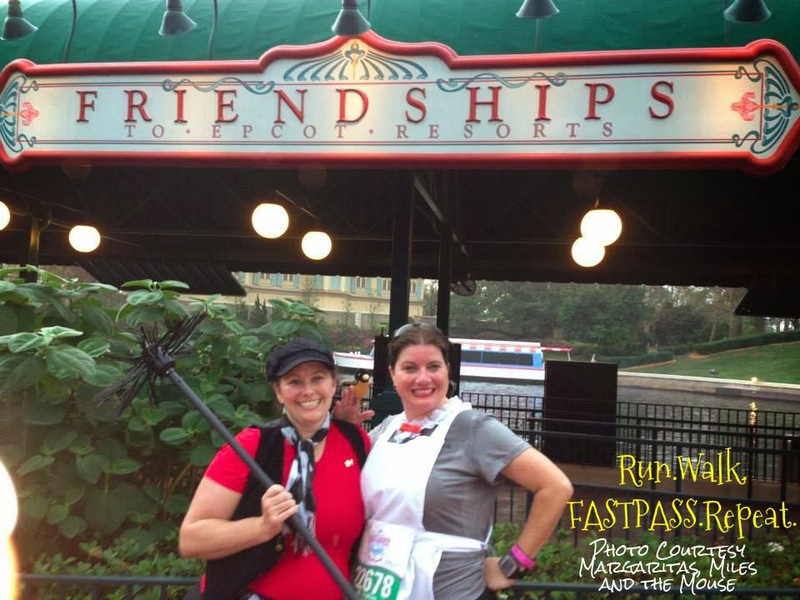 I am always so grateful to my faster friends who want to hang back with me and my slower pace, and of course I always feel guilty too, but truth be told its more fun to run with friends at Disney – though solo is fun too. We took off on the race and it was packed the first couple of miles. We were running intervals used our best runners etiquette – no we were NOT running 9 across, we really tried to use our best manners. I did get a “Beep Beep” from a random enchanted runner…which I was wondering what do you want me to do cuz I can’t speed up. Passing on left? Passing on right? Princess, I need specifics to move out of your way! The first part of the course is rather lacking, but they had some characters along the way for photo ops including the White Rabbit from Alice in Wonderland and Pocahontas and Meeko. We decided not to stop. I will say I loved it when we passed under this overpass which contained Elsa from Frozen and SNOW! Yes it was snowing….OK DISNEY snow, which is soap. It was really impressive but I do wonder if the road got slick. Guess what song was playing….Um the Oscar Winning “LET IT GO” of course! Thanks April for the photo! Some point after this our DisBroads group split up – we slower peeps told the fasters, that we would look for them in Epcot for some photos. Patty and I enjoyed our slow pace of intervals and it was nice to feel like we were not holding anyone back. Shortly before Epcot they had the Christmas Parade Babes In Toyland Soldiers for photos…while I thought interesting character, its rare photo op for sure….even still, we passed, but here’s Patty’s photo of a random Minnie. Entering Epcot – I request next year someone roll away the trash cans for a moment, um kay? Not so magical, but hey its backstage and not as glamorous as the World showcase. I have not done a race through Epcot’s World Showcase before and entering into the world, did NOT disappoint – WHAT A VIEW and by this point the crowds had thinned out so I didn’t feel packed. Thanks Amy for the Photo, just gorgeous. Of course Amy’s photo shows a darker Epcot, by the time Patty and I got it was getting lighter. We thought our friend sister suffragette Tania had an amazing commitment to her costume and then we saw this dude who was running with a Merida…. as a bear, in a fur coat. DUDE! 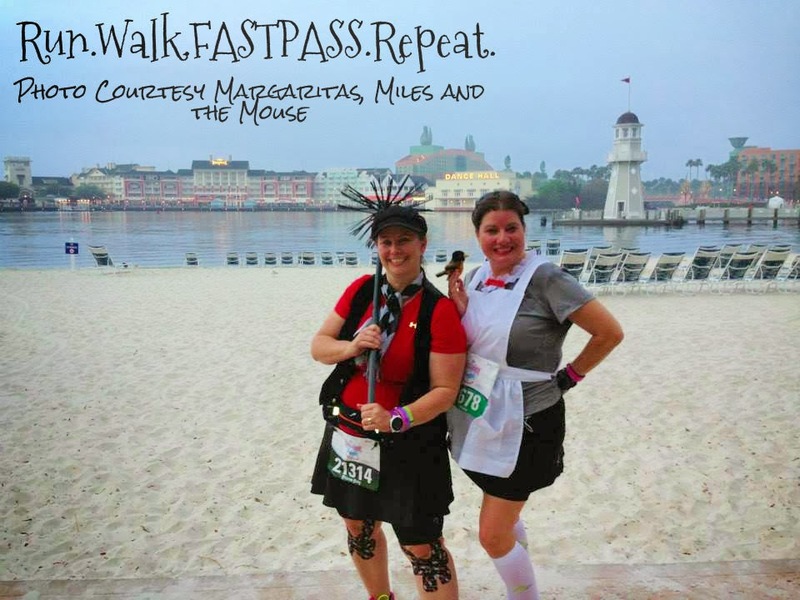 Patty and I decided to hit the Bathrooms at the American Pavilion – which was a walk back to the potties but no wait and you know we were taking our own sweet time, cuz um it was hot and we had a half marathon the next day. 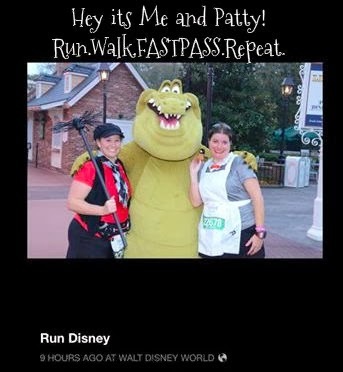 When we came out we decided to get a photo with our favorite bayou trumpet playing gator Louis, a shot so good, we ended up on the runDisney photos Facebook photos on their page. We passed by Marie the Aristocat in France and decided to pass on it and just enjoy some fun photos with very few people in Epcot – truly a GREAT benefit of running the race. You plan the right spots and it looks like you are alone in the park. Props people, you gonna dress in costume, find a fun prop like my robin or Patty’s chimney brush. Its the details I tell ya. We were getting lots of positive feedback on our attire. We came across the speedier DisBroads in the Goofy line, so we all jumped in for the group photo. Not DisBroad had shed a layer, quite impressive. Thanks Suzanne for this shot, since Maratahon Photo can’t seem to find it. The speedier DisBroads ran on, really I did not want to hold back the fully clothed runners back, and Patty and I just kept on going nice and easy. Leaving Epcot was a bummer, but I was happy to get my photos in the UK. Am I sweating or WHAT? Sadly it was time to leave the World Showcase and I am telling you, I LOVED running through it. But in the spirit of racing with your bestie, we stopped for a shot with the Friendship Boats. BRF’s I tell ya, we get eachother on the course. Thanks for the fun Patty! We hit the boardwalk area stopping to enjoy the beautiful morning vistas – and yes, runners were stopping in the Boardwalk Bakery for some treats. I was happy to run into The Pavement Princess Ashley and Maggie one of my twitter friends too…thanks for saying Hello! Can you believe Ashley had never stopped for character photos before? Well – not this race, she found the photo love. Patty and I beachside thinking about Dance Hall Days and our Wang Chung Fun times. We entered Epcot again, this time down by the Big Ball, Spaceship Earth. Donald was out so I got a photo with him and my bird. It was nice because it started to sprinkle JUST a little so that was cooling. Me with a couple of birds. 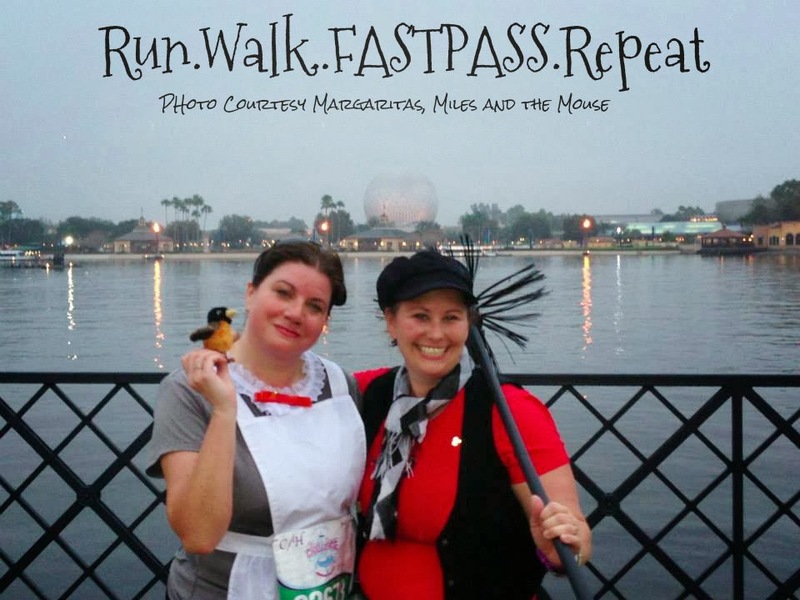 Patty and I finished crossed the finish with Running Happily Ever After’s Walter and Monica. Its fun chatting with your internet racing buds during a race. When Marathonfoto has a sale, we got a GREAT finish pic. Got my medal and it was a wrap. 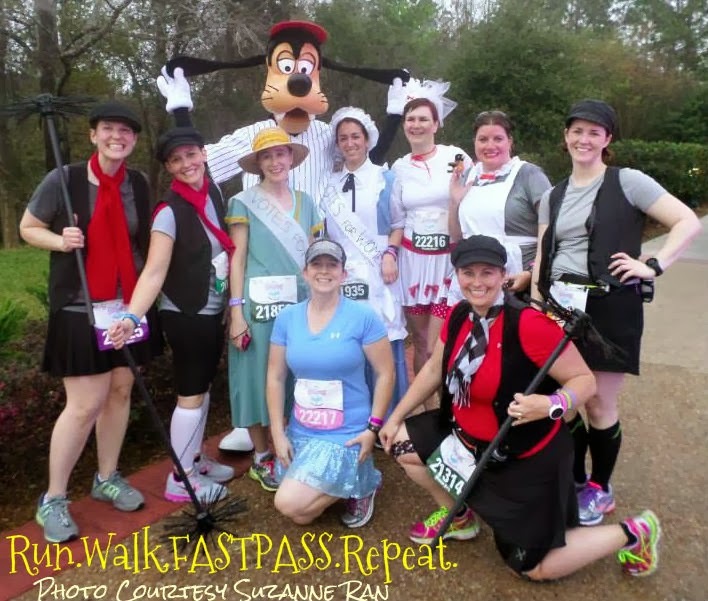 I give this race high marks – truly practically perfect in every way. I do think though they should have had a water stop before mile 2 – especially because it was just SO humid and hot. The start was VERY organized, corrals too. The volunteers – as always super friendly too. Sure, at the beginning it was crowded, but spacing out the corrals by 10 minutes helped I think. 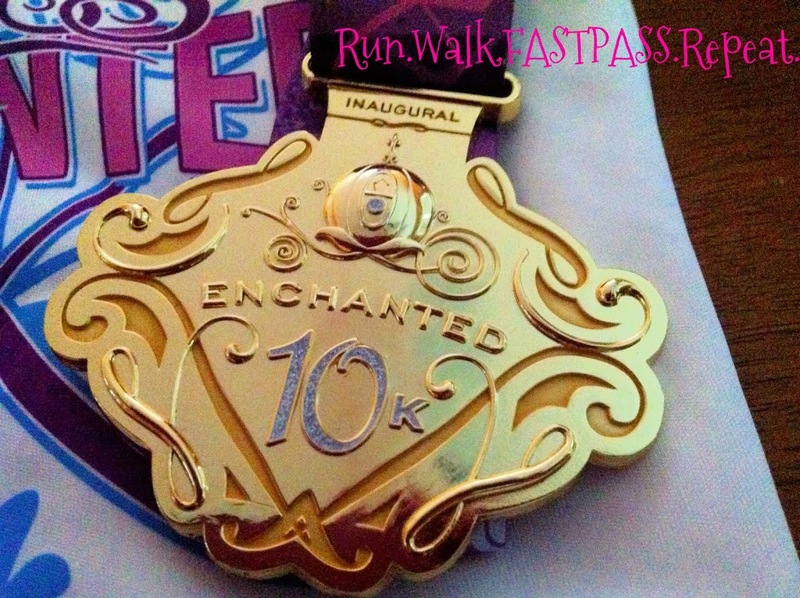 Kudos to runDisney on the inaugural Enchanted 10k – I liked it alot. While not my favorites and I did not stop for all the characters, I do think for a 6.2 mile race they offered plenty of character photo ops. The lines were kind of long, but hey they moved. Note, for the Tiana photo op, I only got a pic of Louis – we went by him to go to the bathrooms and it was Tiana and Louis, then he was alone when we came out, hey shorter line though. I like the 10k Distance and while the front part of the course was kind of blah, hey it was still dark out there and I LOVED the end of the race. Love my shirt and medal too! Special thanks to my friends who let me use photos from the race course, you know cuz um I forgot my camera at home and well my phone stinks! Thanks to Bonnie, April, Amy, Suzanne and Patty for the photos. 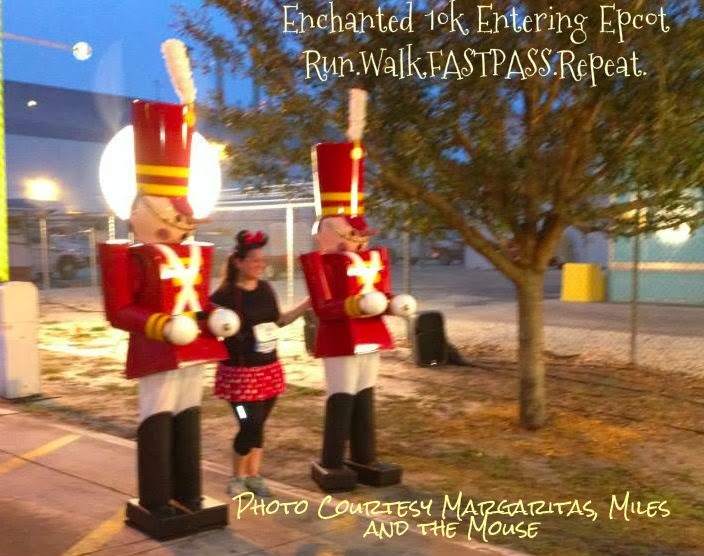 Did you run the Inaugural Enchanted 10k? How does this race look to you? 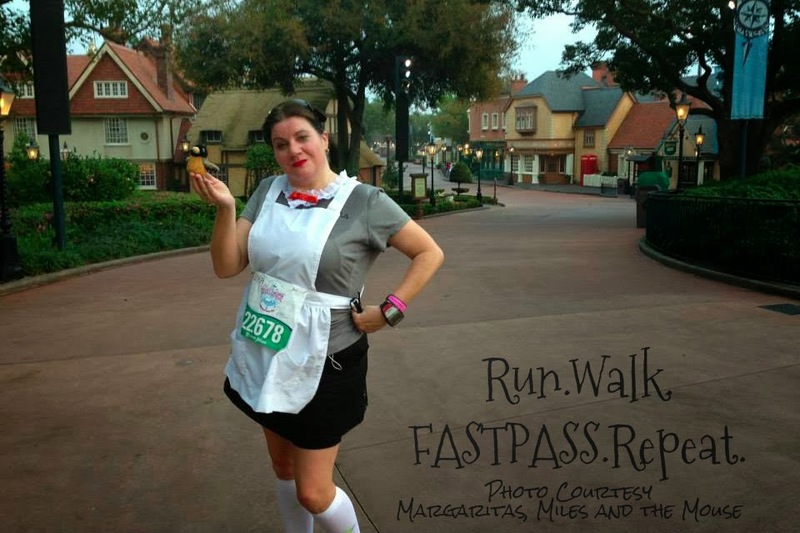 Would you run a 10k at Disney? Great 10k recap! You clearly remember it much better than I do, I know I had a potty break in a “real” bathroom in Epcot somewhere, but I have no idea where! Your costumes were amazing (as per usual!) and congrats on the runDisney FB fame! 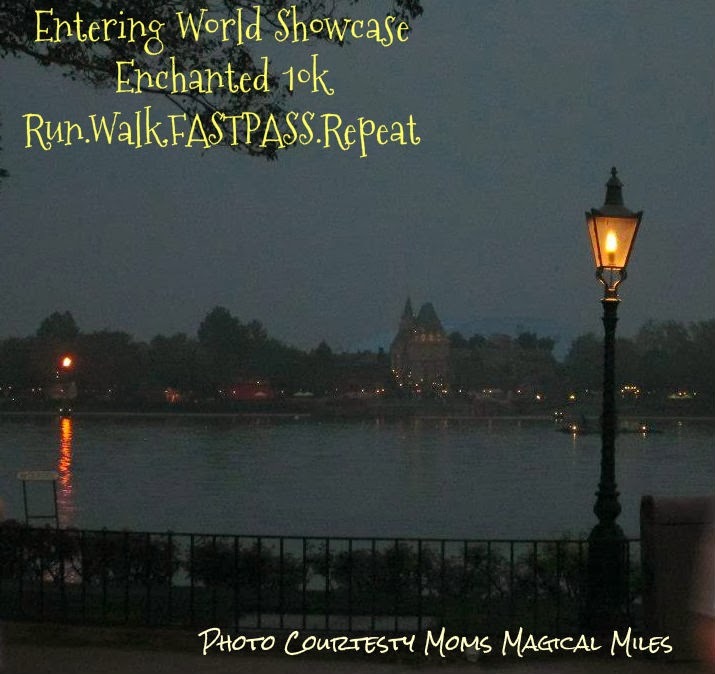 I love the 10k distance too, I think I may sign up for the WDW 10k only and really push the pace while everyone else is saving their legs for the other races! It was great to meet you at the Wave and I hope we can run together sometime at Disney! Yep, I loved chatting with you at the Wave! 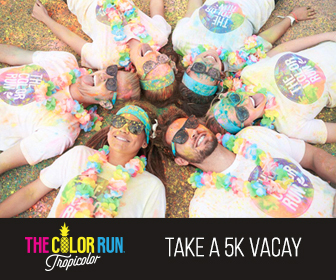 I really loved this race…not sure I can convince the hubs for a girls weekend for a 10k, but I can dream right? LOL. The only reason I criticize the water is because of the big 10k here July 4th..where they have water every mile, cuz um its July in the ATL. BUT other than that perfect race and I had SO MUCH FUN. LOVED running through world showcase. Its gonna be a great way to end the Marathon! You were totes magotes adorbs Julie!!! I loved running with you that morning!!! It was so much fun…you sweeps were rockstars, like Duran Duran back in the day. I loved running with you too Kristen. I need to do some serious speed work to keep up with ya. 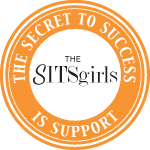 Thanks for hanging with us! Congrats on your race! 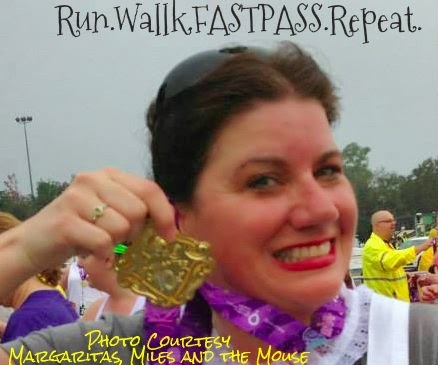 I ran the Minnie 10K in January. The first 3 miles were pretty boring but I LOVED the last 3 through Epcot and the Boardwalk! Thanks Mindy…I think considering the course, the first 3 miles were OK with entertainment…but yeah, not so exciting road running. It was alot of fun, and despite the first 3 miles, LOVED the course. Your costumes rocked, but I was not surprised after seeing previous races! I cannot wait for this race next year, I only did PHM since it was my first, but I’m going for the GSC next year! WOOT! Aw thanks Karen, it was fun and we love dressing up! I am sad I don’t think I can swing both Marathon and PHM, but I do have a love of this weekend, so wondering if I can swing it. GSC was fun….getting up early 2 days in a row not so much LOL. Happy training! Dang it! Why do people always have to show me up, first tuba guy, then bear guy…lol! Seriously that was way too much clothing and I will never do that again, but I did have fun running with you Broads! My 1st 10K, and I couldn’t have asked for better company! 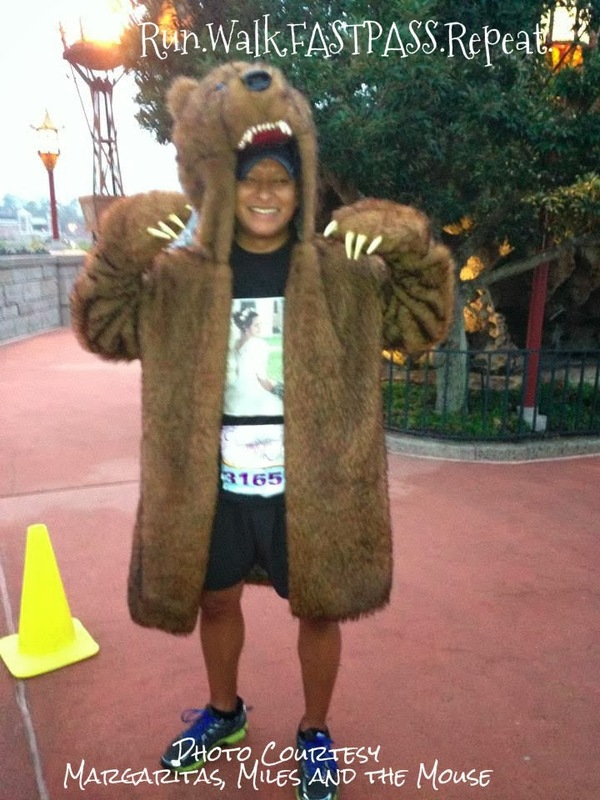 I do think its neck in neck with you and bear guy….It was so much fun and walking back with you to the room PRICELESS! Thanks for the bacon too! Loved your group’s themed costumes. You Disbroads always look so cute. Was great getting to run with you and Patty for the last mile or so through the finish. Awesome recap, Julie! You guys are always so cute too and I love how y’all run together. Tweedle Dee and Dum was adorable! It was truly fun crossing the finish line and chatting with you guys! Hope to see you next time! Great costumes! You gals got some excellent photos! Who needs Marathonfoto when you have Patty! So glad I read your recap because my sister wrote our 10K recap for tomorrow and as she was mentioning which characters were out for photos she said there was an “Ant”. I didn’t see the character because it was still dark. I just assumed it was an Ant from It’s a bugs life. Now that I read your recap I’m pretty sure the “Ant” she saw was Jimminy Cricket! Maybe it was Adam Ant? bwahahahahaha Hoping i didn’t miss any of the characters…but this is what I recalled. It was so much fun running with Patty…she is a nut in a good way. We are photo pro’s at races though she is the king I think. 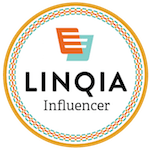 can’t wait to see your recap! I loved your costumes, and your photos all turned out great! That robin was so classic and cute and added the perfect touch, even though it was hot to have fingers covered! 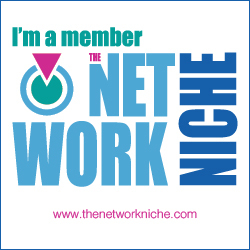 So glad I got to meet you, and feel lucky to have been mentioned in your post! I will write up my recap soon too! And so glad I rectified Ashley’s no stop tradition; when I heard that she never stopped, I couldn’t believe it. It is Disney! 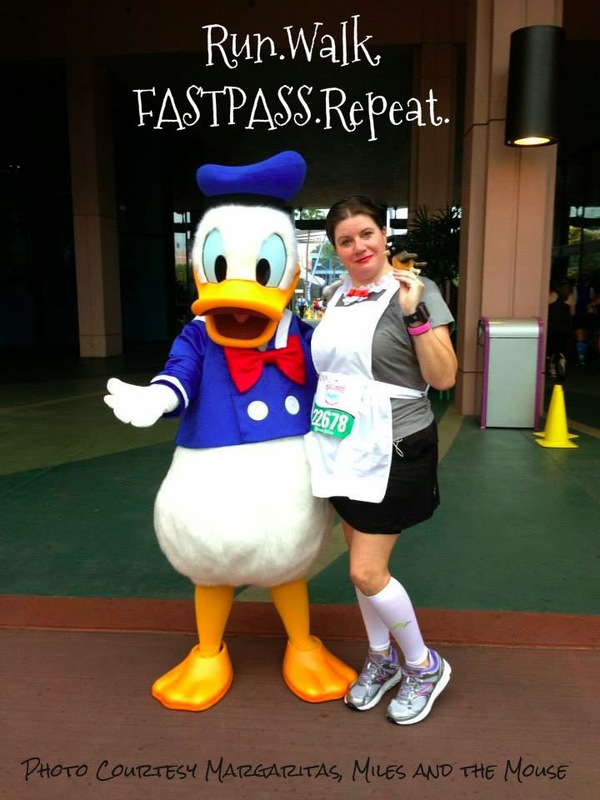 Yeah, thank you for schooling Ashley on the art of a Disney race….STOPPING FOR PHOTOS! LOVED meeting you on the course, you looked fab. We were slow buy had fun! Thanks for stopping by! It was super fun! I am glad I finally got on board with the Poppins Posse! It was a great theme! Everyone loved it! Love your random photo stops, also love the Wang Chung Dance Hall Days reference. 😉 It was for sure a fun race and I loved being a part of the Poppins Posse So many memories were made that day. We thought of Tania of course Suzanne with the Wang Chung Dance Hall days photo LOL. Yep, it was truly magical. So much fun. AND we found you in epcot…cuz of your hat! Sure they will change it, but people were complaining and you know 7 characters in a 6 mile race…Not.To.Shabby! We were having a blast. Very cute! I’ve often considered a chimney sweep, but I refuse to run with props, and the brooms kind of make the costume. That’s a great picture of the medal. It’s so hard to get good photos of them,which is odd because in real life they look pretty good. I have NO idea how that photo happened with my cruddy Iphone 4, but I suppose it was the right time of the day! I think props MAKE the costume. We had so much fun in our Posse! thanks Shannon! It was so much fun and rooming with you the best. I laughed all weekend.